In line with the annual initiative and project of the Department of Education to engage all its associates and other stakeholders in preparation for the opening of classes, the Oplan Balik Eskwela (OBE) was simultaneously launched in all Public Schools Nationwide on May 21 to June 08, 2018. As stipulated in DepEd Memo Nos. 50, s. 2018, OBE aimed to address problems, queries and other concerns commonly encountered by the public at the start of the school year. It also ensured that all learners were properly enrolled and in school on the first day of classes on June 04, 2018. To make sure that all concerns were appropriately addressed, DepEd Pasay City advised all school heads to allot special area in their respective schools and assign teachers to assist, accommodate and properly handle and answer questions from the parents. Schools Division Superintendent Dr. Evangeline P. Ladines, CESO V and Assistant Schools Division Superintendent Dr. Melody P. Cruz spearheaded the monitoring of all schools divisionwide during the conduct of OBE. 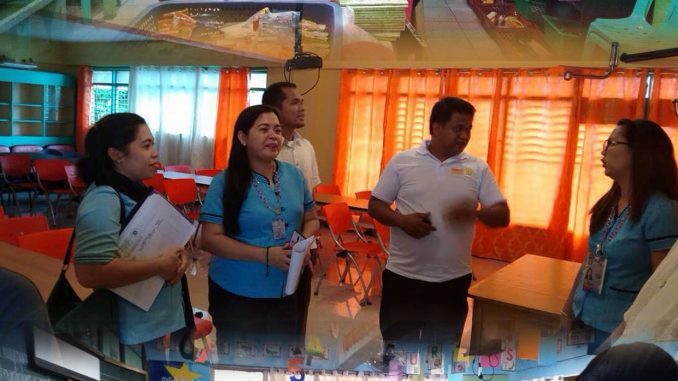 Education Program Supervisors and Public Schools Division Supervisors were tasked to evaluate the readiness of the schools and provide quality technical assistance as to the smooth implementation of OBE. As a whole, with the support of the Philippine National Police and other stakeholders, the reactivation of classes for School Year 2018 in DepEd Pasay City was very smooth and successful.